A land in the midst of the worst drought anyone can remember. Family histories run deep, but when rancher Tom Forrester has his access to the Pecos River cut off by the son of his old partner, he convinces his foreman, Shad Marone, to pay Jud Bowman back for the discourtesy. Yet what starts out as a simple act of thievery or petty revenge quickly spirals into a cycle of violence that no one can control. 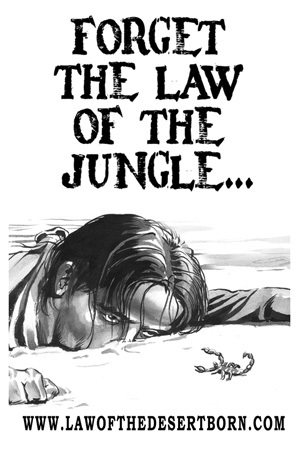 Now Marone is on the run, pursued by a sheriff’s posse in a deadly game of cat and mouse across a rugged desert landscape. Leading the chase is Jesus Lopez, a half-Mexican, half-Apache with a personal stake in bringing Shad to justice. Newly released from jail, trusted by no one, Lopez swears he is the only man who can track Marone down. That may be true. But who will live and who will die and what price will be paid in suffering is an open question. 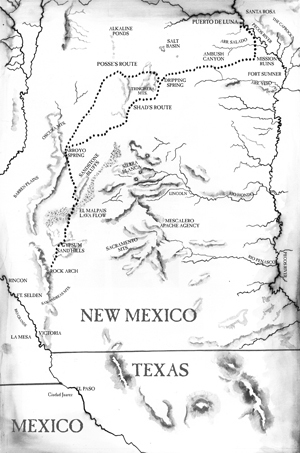 Fate and the Jornada del Muerte desert possess a harsh justice that is all their own. 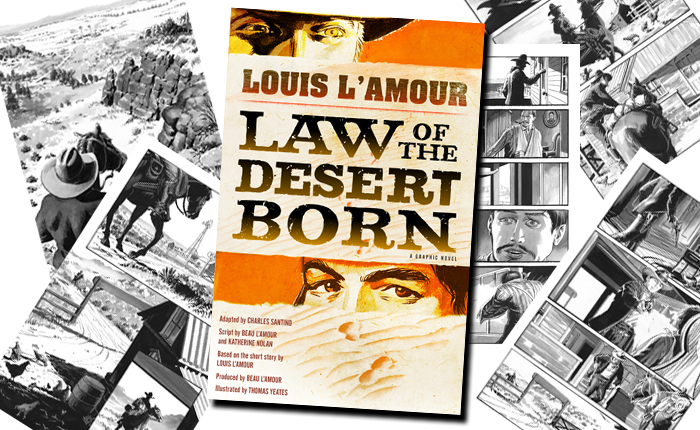 With a propulsive script from Beau L’Amour and Katherine Nolan, adapted by Charles Santino and illustrated in bold black and white by Thomas Yeates, Law of the Desert Born captures the dust and blood of Louis L’Amour’s West – a world where the difference between a hero or a villain can be as wide as the gap between an act of kindness or brutality or as narrow as a misspoken word. The foremost storyteller of the American Frontier, Louis L’Amour has thrilled a nation with his tales of the brave men and woman who settled the West. 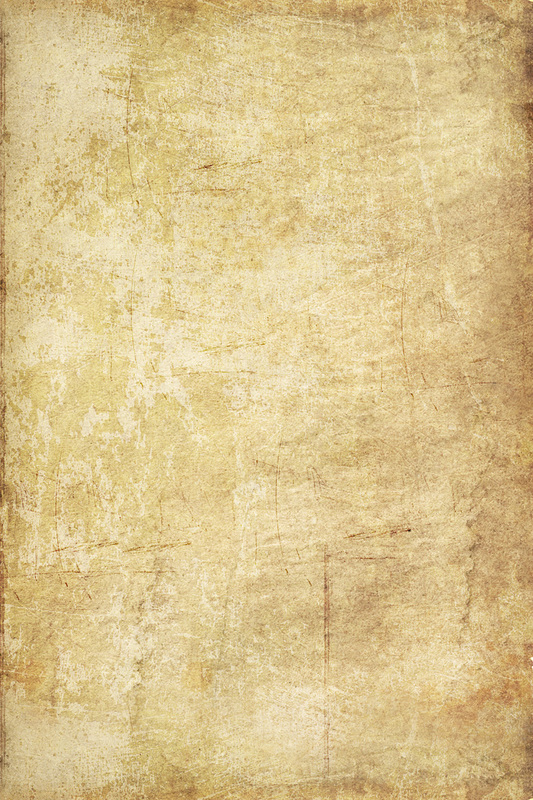 There are more than three hundred million copies of his books in print around the world.